The city of West Palm Beach is in the southern part of Florida and it is the county seat of Palm Beach county. West Palm Beach is an amazing place to visit. 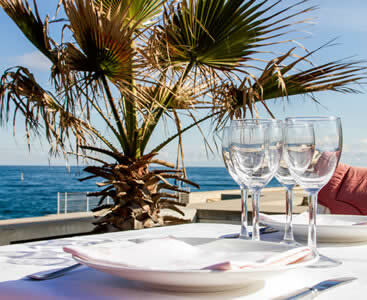 It has sunny palm tree lined streets just as its name suggests, spectacular sea front views, picturesque shopping districts and historic neighborhoods. Outdoor activities and festivals occur year-round in the West Palm Beach area. Your visit to this city will be a memorable one for you and your family. Below are some places of interest that you should consider going to while on your trip. Who doesn’t love Florida? It is a name which resonates around the world because of its beautiful panoramic views, clear waters, white sand beaches, party spots, luxury resorts, hotels, restaurants, and other similar places. Due to its warm weather and beautiful places, it is a home to multiple water sports in the world. Either it is snorkeling or scuba diving; fishing or water surfing; cruise exploration or yacht parties; here you will find everything. Every year, tourists both from within the US and from outside, come here to spend the best of time of their lives. 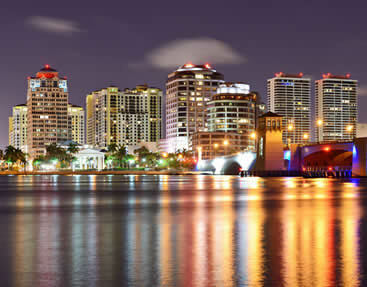 Of the many cities which see a lot of public traffic every year, one is West Palm Beach. Present on the eastern shores of the state, it is only a few minute drive from main Miami city. The most convenient way to reach here, in West Palm Beach, is through PBI International Airport, located only 3-miles from the city’s downtown. Flights from all over the world are welcomed here. To elevate the levels of public service, the airport offers on site spa facilities and children’s play area. So, if you’re with your family waiting for your flight, you can get into the children play zone and have some good time with your kids. It is a small airport offering quick services to its visitors. It is not a much crowded facility, thus providing easy security checks and fast progressing process lanes coupled with proficient management from the airport staff in other areas of the service as well. Palm Beach International is the airport for West Palm Beach Florida, which is the small beachside town with a population under 100,000. If you’re visiting for a sunny vacation, be sure to give yourself time to explore – that means avoiding any unnecessary detours, so getting out of the airport as soon as you land is a good way to start. Book a shared ride van and head into downtown, utilizing the stops for either fun attractions or transportation to your hotel. For big groups looking for big fun, reserving a private van to get around town, something that’s especially a good idea when you reserve to pick up your van. Head to Palm Beach Zoo, a beautiful area that has its own set of private gardens, animal exhibits, and a rain-forest area. If everyone would rather go to a place that’s less exotic and more indoors, head to CityPlace, a huge shopping center with a diverse food court, the plaza often hosting fun concert parties. Visit the intricately woven French, American and Chinese artwork at the Norton Museum of Art, a beautiful exhibit that ties different cultures together in a single lovely sentiment. You can experience this intimate museum by reserving an intimate ride, particularly a private sedan that offers a wide variety of rides. After museum hunting, visit Okeeheelee Park for a huge array of outdoor activities, whether it’s kayaking or going on a run through fall foliage. Mounts Botanical Garden houses plants from all around the world upon acres of land, each garden as beautiful as the last. Have your family experience the beauty together by reserving the perfect vehicle to carry those memories. Book a private SUV and explore countless other attractions like the South Florida Fair, an annual event that excites the entire states every January through February. If you’re in the mood for delicious food as you utilize the beautiful park views to watch people go by, then Pistache French Bistro is the place for you. Have lunch in the classic space by reserving an appropriate ride to drop you off. Showing up the right way means booking with one of our providers for one of their many stretched limousines and chauffeur services, each ride offering you’re the crème of the crop. If you’re a bigger group than can fit in an 8-seater van, you’ll probably benefit from a chartered bus. Get a head out to Lion Country Safari, a cageless drive-thru animal expedition that’s both exciting and terrifying. If you’re interested in f a visceral experience, but without the risk of danger, visit Peanut Island, the famous 79-acre island that was home to a slue of JFK government projects – the area is now open to the public and a very popular tourist spot. Atlantic Avenue is what keeps West Palm Beach ticking and is a great place to spend your leisure time. You even have the convenience of free parking spaces. → If you want to do some shopping or even some window shopping this is a great place for you to go and spend a day. → If you are in town with your kids you can take them to the park at the Intracoastal Waterway. While at the park they will be able to watch boats going under the drawbridge there which is sure to peak their interest. → You will also be able to find a wide variety of restaurants for you and your family where you can have breakfast, lunch or dinner. Another benefit of visiting Atlantic Avenue is that at the Downtown Roundabout you may also find a free ride back to your hotel. Delray Beach has got lots of amazing and fun things to offer its visitors. Your tour of West Palm Beach will not be complete without a visit to this beach. You will find that the beach is breathtaking, you will have a great time spending a day here. Downtown Delray Beach has much to offer, like great nightlife and great places to go shopping. While here you can stop by the Pineapple Grove Art district for a little taste of the area’s art scene. 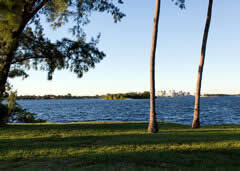 → Another great place here that you will find interesting is West Delray Regional Park. At this local favorite park you can enjoy biking thanks to its expansive three hundred acres of bike trails surrounded by lakes and scenic views. → If you are a camping enthusiast take advantage of the camp grounds at the park and spend a night or two in the great outdoors. You can also enjoy boating in the park as well. Okeeheelee Park is located on the west side of West Palm Beach. If you are looking for a great place to take your family for the day, it has something to offer for everyone. → The park is usually open from morning to evening and also has a tennis court open until late at the night until 9.00pm. → There are lots of activities here that you and your family can engage in while at the park such as playing tennis, biking, golfing, watching animals and so many more amazing things.